This man had a north view of the towers and saw the drone coming from the west. OK, we actually have an "Eyewitness News" reporter, Dr. J. Atlasberg (ph) who was downtown at the time and he is on the phone with us live. Dr. J., what can you tell us? DR. J. ATLASBERG (ph), REPORTER: Hello, Steve. I'm actually uptown at 86th and Riverside. I can see the World Trade Center from about half the building up to the top. And about five minutes ago, as I was watching the smoke, a small plane -- I did -- it looked like a propeller plane, came in from the west. And about 20 or 25 stories below the top of the center, disappeared for a second, and then explode behind a water tower, so I couldn't tell whether it hit the building or not. 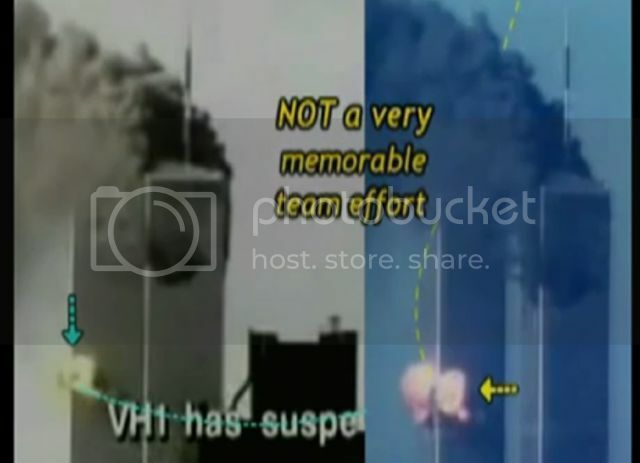 But it was very visible, that a plane had come in at a low altitude and appeared to crash into the World Trade Center. ABC News Special Report: "Planes crash into World Trade Center"
He never saw a plane like that before, because it wasn't a plane at all. He said it twice, corroborating witnesses like Burnback and Oliver who described a drone. It was identical to what hit the north tower. "Yeah. I--I saw--yeah, I saw the second plane, it go boom. I--I heard, you know. I just wake up my head like that I saw the side, too"
"I saw it come up from the left, and I saw the plane coming through to the building, go inside, a small plane, no, no, it was plane, you know, like they teach the people to pilot plane, small plane, you know, it was that kind of plane, yes, going into the building, and I never saw that plane before. It's like something, I don't know, it's like they work with the motors, I never saw a plane like that before!" These two opposing flight paths are the best from Sept Clues. The height of the towers and the smoke coming from them confirm they are very different paths. 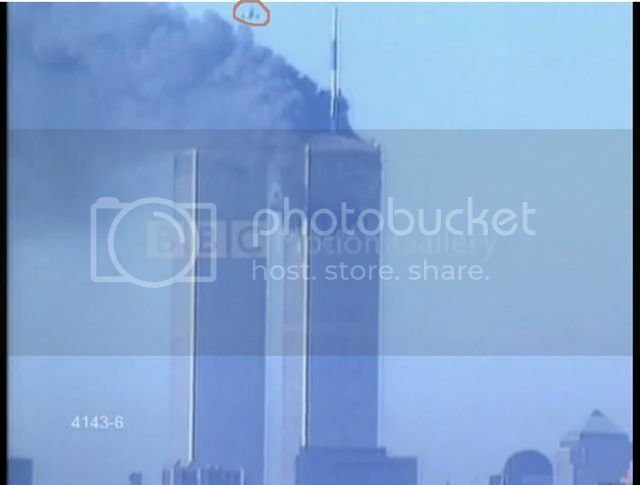 Anything that came from right of the towers was nowhere near the smoke or behind the towers in sight from the north view. Without the divebomber myth, you'd have the morph footage seen from the wide east view. It starts as a dot and morphs as it moves north. The northeast view would have posed the same problem of having to create something in frame that wasn't there, so starting it, out of frame was done to avoid the morphing. They wanted to show a plane approach from the north view that was similar to what would've happened if 175 really impacted T2.